Adding security cameras is one of the best things you can do for your security setup. Nothing beats being able to obtain hard, video evidence of anything that occurs on your property. Wireless security cameras are also extremely easy for users to set up and program. 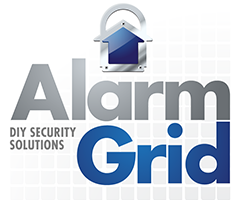 Buy your cameras from Alarm Grid. The best way to know what occurs inside your home or business while you are away is with security cameras. These devices are excellent for catching intruders, monitoring your employees or even just checking to make sure that your children are safe at home. After the footage has been recorded, you can then access and review it. If you decide that it’s worth saving, then you can download the footage and store it for permanent use. This can be great for recording an unexpected surprise or for presenting physical evidence in the event of a crime. Some security systems will allow you to access the live feed for your cameras right from the panel itself. However, most users instead access an interactive service platform, such as Total Connect or Alarm.com, in order to view their cameras. By using the respective mobile app for the service, a user can view the live feed from virtually anywhere in the world. Whether you’re across the city or across the world, you will know exactly what is going on inside your home or business. You can also set up the cameras so that you receive a text notification from one of these services whenever your camera activates due to detected motion. These services also allow users to adjust any important settings or configurations for their security cameras. Wireless security cameras are known for being very easy to install. Most modern cameras come with some type of mounting plate so that they can be easily attached to a wall or a ceiling, with only a few tools being required. Alternatively, many wireless cameras come with a stand so that they can be simply placed on a sturdy table or desk. This allows for a tool-free installation that only requires the camera to be plugged into an outlet. Of course, the camera will still need to connect to the internet in some way. Most wireless security cameras use a WIFI connection in order to do this. This connection can often be set up using a smart device and a mobile app. Another consideration when looking for a wireless security camera is the type of features that it will include. Some wireless security cameras have weatherproof and water-resistant designs and outer casings that make them perfect for use in an outdoor setting. Another great feature is night vision so that the camera can capture quality video in a low-light or nighttime setting. A user may also want a camera that can record 1080P HD video for the best possible playback. Finally, some security cameras include a built-in microphone for recording audio, while others will need to have one added separately. We recommend considering what you need out of the camera so that you can get the perfect device for your needs. If you need any help making your decision, then our support team is happy to help you online or over the phone. In any case, you must make sure that the camera is compatible with the interactive service platform you use, whether that be Total Connect or Alarm.com. Can I Use a Honeywell IPCAM-WOC1 w/o a System? How Do I Set Up My 2GIG HD100 Camera with Alarm.com? How Do I Use the 2-Way Voice Feature for My Alarm.com Camera on the Qolsys IQ Panel 2?